﻿Take a step toward success by joining the Arlington Chamber of Commerce—a move that will deliver the opportunities, access and educational resources your business needs to thrive. The Chamber provides a united business voice that supports a strong community. Explore the benefits of membership below and get on the path to success. For more information, download our Membership Guide or contact our Membership Director, Mike Rosenow, at (703) 525-2400 or membership@arlingtonchamber.org. Don’t miss our SMART Start networking seminars where you’ll learn about the Chamber and practice the skills you need to succeed. ​*A one-time processing fee of $25 is required with all applications. Please email our Membership Director for more details regarding our monthly payment option. If your business falls into one of the following categories, after filling out this form, please contact the Chamber at (703) 525-2400 or membership@arlingtonchamber.org for your annual investment rate and payment. Categories include: Apartments; Nonprofit Organizations; Banks; Shopping Centers; Colleges/Universities; Real Estate; Government; Restaurants; Hospitals; Professional Practices - Medical, Legal, Engineering, etc. ; Hotels/Motels​. "I found out early in my 40 years in business that the Chamber would play an integral part in the success of my company. The real estate business is all about networking and meeting people either through committee work, business-to-business functions, and all the many events they sponsor. Any legally operating business or nonprofit organization can access the full benefits of membership by completing an Arlington Chamber of Commerce membership application and making their new member dues payment. Businesses do not need to be located in Arlington in order to join. What can a larger company expect from the Chamber? We’re all fortunate to live and/or work in Arlington. By partnering with the Chamber, large companies can reinvest in our community and make valuable business and community connections. 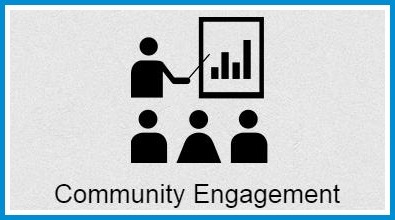 The Chamber’s Community Engagement efforts include our active Community Action Committee, Volunteer Arlington Day and the Young Entrepreneurs Academy. All make it easy for your organization to, strengthen ties to the local and nonprofit communities in Arlington. The Chamber also offers Signature Events such as our Annual Business Gala, Best Business Awards and State of the County, which deliver high level networking as well as sponsorship opportunities to help you build awareness of your organization among our members. As the voice of business in Arlington, the Chamber is also your connection to government advocacy efforts. Through our Government Affairs and Economic Development Committee members contribute to policy positions that work to strengthen the business and economic environment in Arlington. What can a small business expect from the Chamber? The Chamber’s membership ranges from sole proprietors to Fortune 500 members, and everything in between. Regardless of size, all businesses receive the same benefits, which includes access to more than 100 networking and business development opportunities per year. These provide our smaller businesses with unparalleled access to a vast membership network. You can also take advantage of the educational resources that we provide, such as our Small Business Roundtable and relevant educational events. Looking to amplify your reach? Utilize the Chamber’s targeted marketing opportunities. Contact our Membership Director, Mike Rosenow, at (703) 525-2400 or membership@arlingtonchamber.org.